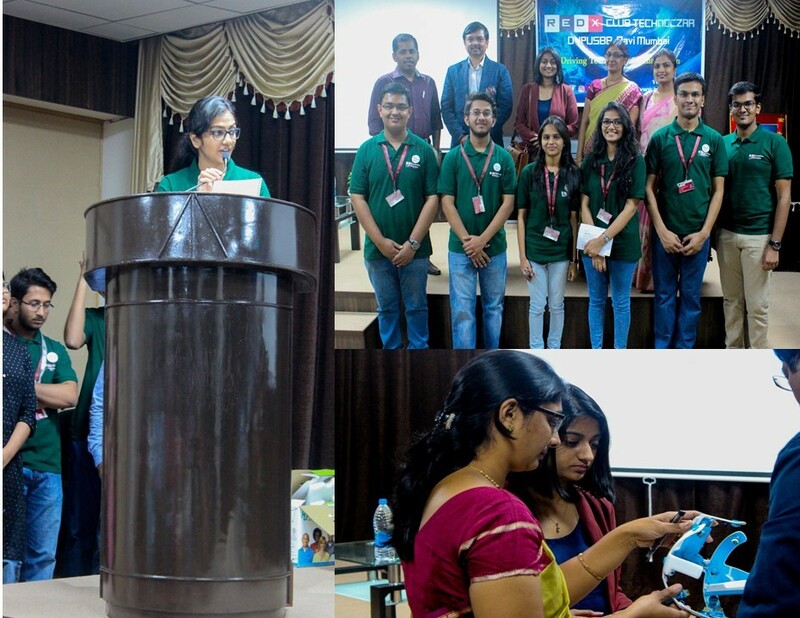 The morning of 26th February 2018 had seen a different enthusiasm and energy in the campus of D. Y. Patil University - School of Biotechnology and Bioinformatics, Navi Mumbai, for the launch of REDX Technoczar Club. The Core Team sported cool REDX tees, preparing to host a panel of dignitaries along with faculty and students from various courses of the institute. The event begun with a motivational speech from the Institute’s Director, Prof. Dr. Debjani Dasgupta followed by the launch ceremony, felicitations & speeches from dignitaries for the event. Then, in the much anticipated part of the event, the Project Leads pitched their ‘Actionable Goal Statements’ to the audience & shared an online-offline platform to discuss & express interest for participation in either of the projects. 1. How can we design cost effective and biodegradable sanitary napkins or diapers? 2. How can we measure & create a holistic system for remediation of stress? 3. Can we create an eco-friendly alternative material for construction - like hempcrete? The event concluded with networking, discussions about the Club & individual project ideas over refreshments.